ZO Skincare Products – Dr. Bose Yalamanchi, M.D. Dr. Obagi’s philosophy is to create & maintain healthy skin for life – for all patients. At our practice, we believe in these products because they formulated & developed to do just that. Guided by Dr. Zein Obagi, a practicing dermatologist, their product development team is constantly reviewing market trends, sourcing new ingredients and formulating products that will provide our patients with visible results. This is the only skin care line Dr. Yalamanchi carries in his office. 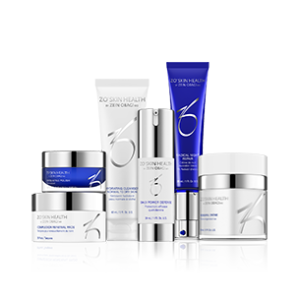 The office exclusively uses these products in their luxurious skin care treatments. They are also recommended to the patients to revamp their skin as well as to maintain optimal skin health.